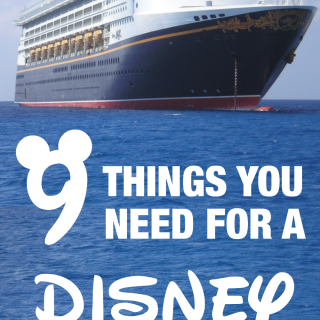 Family Fun, Recipes, Travel, and more! Recently our family took an epic 10-day national park road trip and hit three of the country’s most beautiful national parks in the process! It is a road trip that none of us will soon forget! We had such an amazing time and broke up the driving time to make it enjoyable for us and our kids (ages 10, 8, and 4). Because our son had just finished fourth grade, we were able to get into all of the National Parks for free! Day 1 and 2, we drove to Estes Park and explored Rocky Mountain National Park. Day 3 to 6, included a special road trip to Saratoga, then Jackson Hole and exploring Grand Teton National Park. Read below for all the highlights of Day 7 to Day 10, and our adventures in Yellowstone National Park. Or go here >>> National Park Road Trip for my best travel tips! It took us about 1.5 hours to drive from Snake River Lodge to the entrance at Yellowstone National Park through the John D. Rockefeller Jr. Memorial Parkway. We split Yellowstone into two days and did the first third of the Grand Loop Drive on Day One and then the other two-thirds on Day 2. We breezed through the park quickly and we would have obviously loved to have spent more time exploring it, but we used the time we had to make the most of it. We pretty much followed the Gypsy Guide for everything in Yellowstone National Park (which was an EXCELLENT resource) and we spent considerable time at Old Faithful. There was a lot of geyser activity going on while we were there so we were able to see several geysers erupt at Old Faithful Basin. There are lots of beautiful and colorful hot springs pools to see at West Thumb Geyser Basin and it was a fun way to introduce our kids to the geological features of Yellowstone National Park. The Gypsy Guide does a great job of giving geological mini-lessons before hitting all the big stops, so make sure you have it on as you are driving from one place to another. There were SO MANY AMAZING GEYSERS!! The geysers were my kids’ favorite part of this trip and we were able to see several erupt (including Old Faithful twice)! We had a picnic lunch here and probably spent a total of 3 hours exploring. I highly recommend popping into Old Faithful Inn- it is amazing! No trip to Yellowstone National Park with kids is complete without participating in the Junior Ranger Program. We have done this program at nearly every National Park we have visited but Old Faithful’s Visitor Center definitely had the best Junior Ranger program of them all! The books cost $3 per child and if they complete them, they get a really cool badge! Our kids also left with some bookmarks and pens from the kind Park Rangers. Some friends of ours told us that Fairy Falls trail in Yellowstone was a fun and easy (albeit uphill) hike to the Grand Prismatic overlook. We started on our way and simply turned back when there was thunder and lightning. Then, we hopped in the car and drove to the Grand Prismatic parking lot and waited out the thunderstorm for about 20 minutes. Because of the rain, there was so much steam coming off of the hot springs that it was difficult to see the colors once the rain subsided but still very cool (and eery). The boardwalk view of Grand Prismatic is still amazing and beautiful, but even without the steam, the view would be much better from uphill a bit. We were planning on swimming in the Firehole River (one of the only places you are allowed to swim in Yellowstone) but there was a pretty significant thunderstorm raging about that time, so we sadly had to forego this experience. A friend visited Yellowstone about a month before us and she said swimming in Firehole River was their favorite memory from the trip! As far as Yellowstone lodging goes, I would highly recommend to either stay outside of the park or camp (we are I am not a camper so this wasn’t really an option for us me). This is relatively easy to do on the west side of the park because you have West Yellowstone extremely close to the park’s west entrance. We stayed our first night in the Holiday Inn in West Yellowstone and although it was much higher in price than most Holiday Inn’s we have stayed out, it was much more affordable than the park hotels. We woke up bright and early to get back on the road and finish the Yellowstone Grand Loop. Again, we pretty much followed the Gypsy Guide to tell us where to stop and it worked out great! One place we detoured was the Lamar Valley road. You will get off of the Grand Loop for a bit and act like you are leaving the park (to the east), but it is the perfect place to see TONS of bison so it is worth the backtracking. One of the first stops back on the Grand Loop drive after coming back into the park from West Yellowstone is the Norris Geyser Basin. If you are lucky, you might get to see the World’s Tallest Active Geyser: Steamboat Geyser. It is a ways to walk back there (only my oldest and I opted for this one) but even if it isn’t erupting you will see it steaming and boiling. There are lots of beautiful hot springs here as well. 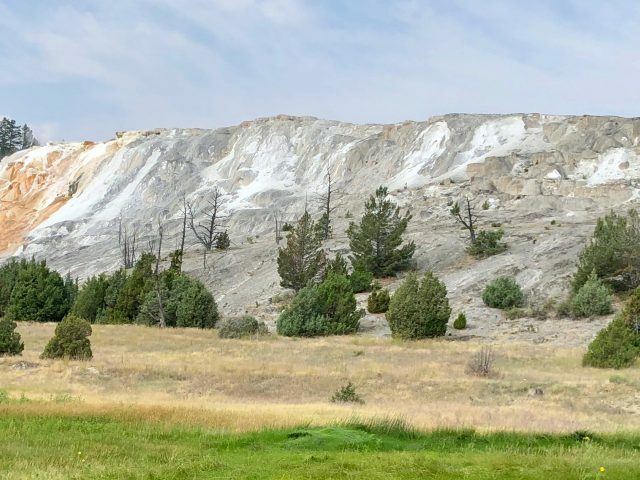 The history of Mammoth Hot Springs is pretty neat as it was the first Visitor’s Center open in Yellowstone National Park and people used to come by horse and buggy in the early days of the park. But after seeing numerous hot springs and geysers over the previous 24 hours, none of us were all that enamored with this stop. It is a good place to read up on the history in the Visitor’s Center and perhaps get a bit of lunch. They also had lots of female elk meandering around the grounds. Take a 30-minute detour off of the Grand Loop Drive to see some of Yellowstone’s best wildlife. And if you see a bunch of cars stopped, there is probably something worth gawking at! Just make sure to stay at least 25 yards from bison and male elk and 100 yards from bears. We saw hundreds of bison on our hour-long detour! There are several viewpoints to see the Grand Canyon of Yellowstone and I recommend taking as many as your schedule has time for! The falls and canyon were incredibly beautiful, despite the haziness of the wildfires in Idaho. We stayed the second night at Lake Yellowstone Hotel. Out of all the places we were going to stay during our vacation, this was the place I was most excited about. We had stayed in Lake Quinault Lodge on our trip to the Pacific Northwest and it was truly incredible. It was beautiful and historic and there were tons of things for the kids to do. I had my hopes way up for another stay at a National Park lodge. Although it was gorgeous, I was pretty disappointed with the exorbitant prices at Lake Yellowstone Hotel and the fact that there was absolutely nothing for my kids to do. It was too windy to be outside that evening so we couldn’t explore or walk along the lake and the food was extremely expensive and not all that good. Overall, everyone should make a stop at Yellowstone Lake Hotel because it is historic and GORGEOUS but I would advise against staying there if you have young rambunctious children like us! If you go to Yellowstone without kids, however, it would be the perfect place to stay as they have a 4-string quartet perform in the lobby with lots of amazing seating. Days 9 and 10: Travel Home! We headed out the southeast entrance of the Yellowstone National Park towards Cody, Wyoming. Our kids were so sad they did not get to see a bear but on the way out of the park we saw a bunch of cars stopped and we finally got to see our grizzly bear (from a long ways away and the pic is blurry but thanks to our binoculars the kids all got a peak). It took us two days to get back home. We spent the night in Fort Collins and then made the rest of the trek the following day! Overall, I have to say, this epic ten-day national park road trip has made our family road trip junkies for life! We loved every minute (okay, almost every minute) of being in the car together as a family and made memories that will last a lifetime!!!! Find out what accommodation. restaurants and activities for kids we recommend! Plus, you have to see the photos taken in these stunning National Parks! 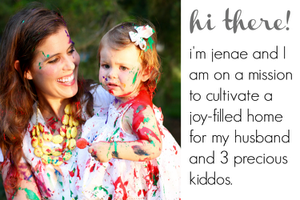 Jenae is on a mission to cultivate a joy-filled home for her husband and three children.